KATHMANDU, July 5: As many as 27 commercial banks have become ready to open branches in at least 250 local units of the country where no commercial bank has so far opened any branch. According to Nepal Bankers Association (NBA), its member banks have willingly agreed to cover at least 250 local units out of 411 which remain un-served. The umbrella organization of commercial banks submitted the list of the local units where its members have agreed to start their service. 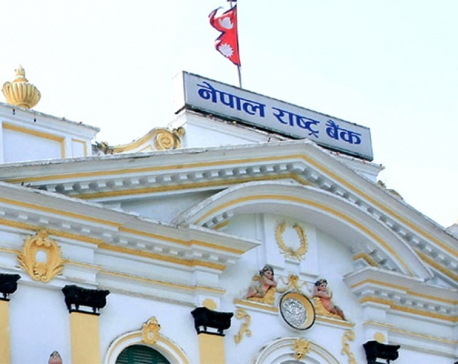 The list was submitted to the Nepal Rastra Bank on Wednesday. The commercial banks have decided to venture out in the rural parts in line with the government"s new policy to have at least one bank branch in each of the total 744 local units, delineated under the new federal set up. 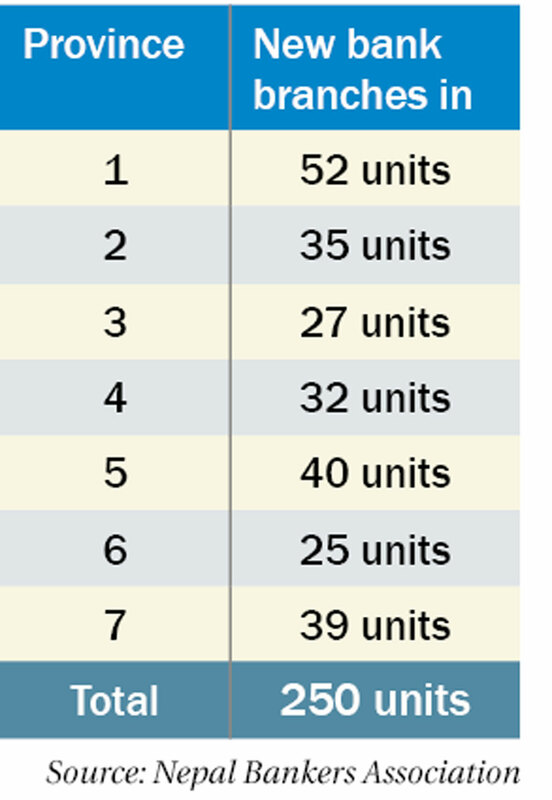 Of the total 744 local units, the elections are already conducted in 617 units while polls in remaining 127 places are scheduled for September 18. 'It is quite remarkable that despite lack of basic infrastructure, NBA member banks have proposed to expand banking coverage to over 60 percent of these unserved remote areas,' read the statement of the NBA. Though the 28 commercial banks have agreed to show their presence in 250 new local units, 161 local units will still not have any bank branch. It is still unclear how the remaining local units will get the bank branches as announced by the government in its annual budget. The government, through its budget speech for upcoming current fiscal year 2017/18, has announced that it will make necessary arrangement to send at least one commercial bank branch in each local unit in the federal system. The branch office at the local unit will not only get business from the private sector, but also handle the government transactions. NRB has also made commitment to make it mandatory that all government transactions at rural municipalities must be done through the banking channel. The central bank has even decided to bar any other new bank from opening its branch in the local unit for at least two years. Based on this provision, the banks will enjoy their monopoly in the local units where they reach first. A rural municipality will mobilize of up to Rs 390 million in equalization grant for the coming fiscal year 2017/18 which will flow through the banking system. According to the central bank"s decision, the branch office will have a monopoly on handling these government transactions.